Convallaria majalis: Tiny white bells and lush, verdant leaves. 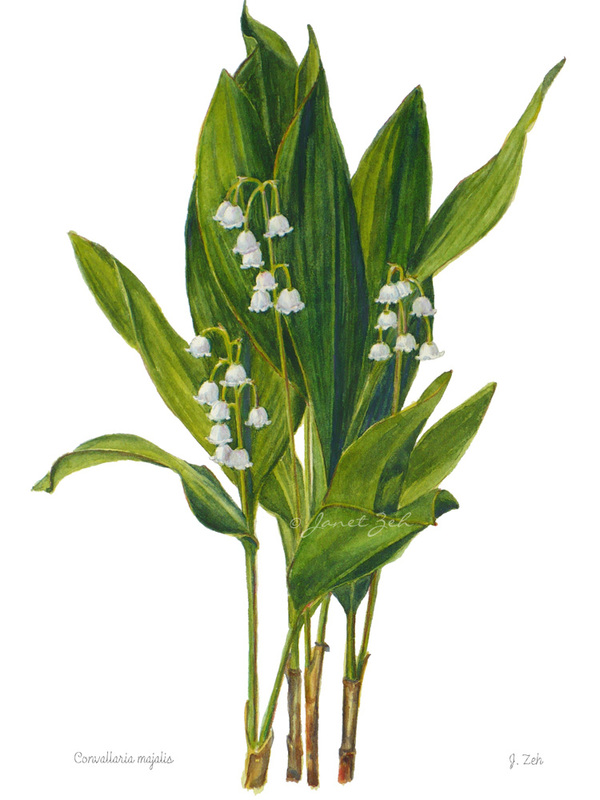 Lily of the Valley Botanical print comes in several sizes and print options. Click the Order Print button below for sizes, options and prices.